Kkakdugi. It’s the second most popular type of kimchi. 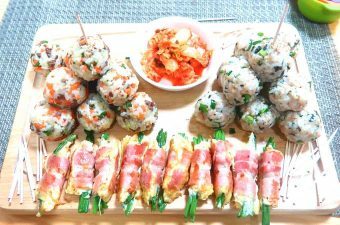 Easy to make and tastes great with Korean stews or noodles. 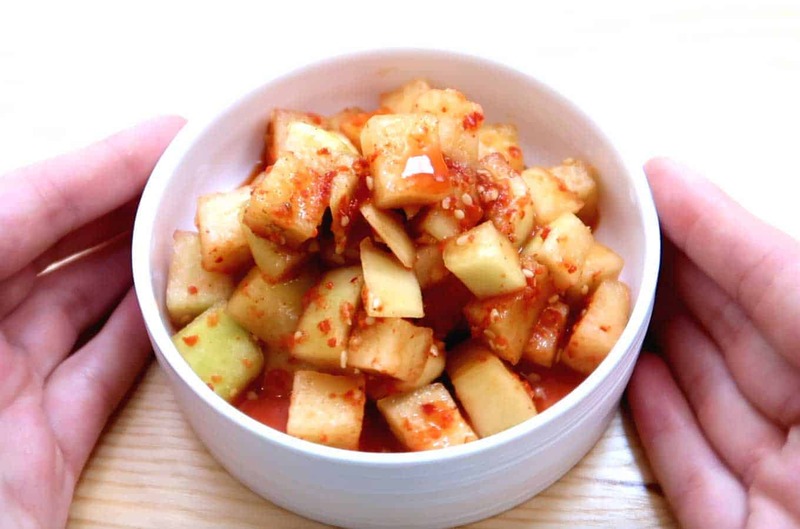 Kkakdugi is the go-to kimchi when eating starchy soups or stews in Korea. 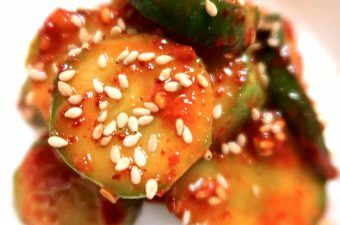 These pickled radish pieces taste salty, spicy and slightly tart. A nice wake-up call for your taste buds. Korean radish is naturally filled with lots of juice. So when you salt it, it will release this juice into the thick Kimchi paste. You will end up with a small layer of refreshing Kimchi juice. Grab a spoonful of this and use it to lightly season your stew or noodle dish. 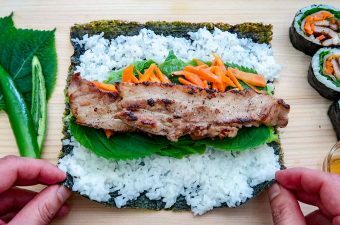 Or spread it over your rice. I think its one of the best parts of eating Kkakdugi. Please note that every household has their own recipe for Kimchi. Some families like it spicier. Some prefer a sharper seafood flavor. And some like it sweeter. Our recipe is a good starting point to nail down the basic flavors. After you make the first batch, you will see what flavors you like as well as modifications you would like. Make a second batch with the other 1/2 of the Korean Radish. Here are a few suggestions on how to enhance/mask some of the main flavors. 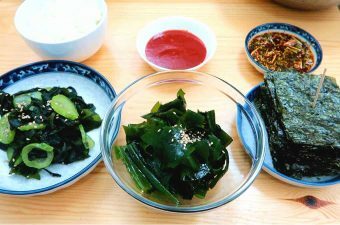 Note: Kkakdugi is typically served as banchan, alongside a bowl of white rice and stew. Not eaten by itself as it is too salty/spicy. Kkakdugi is the second most popular type of Kimchi. 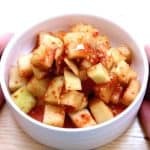 Korean radish is pickled and tossed in a salty and spicy Kimchi paste. Peel skin off the radish. Measure one finger-width and cut the radish into thin circle slices. Then cut each slice into a square. Cut each square into bite-sized cubes. Take out a mixing bowl. Place Korean radish pieces in. Add in the salt. Mix it around. Let the pieces sit for 10 minutes. After 10 minutes, use your hands or a wooden spoon to grab some the juice that is on the bottom of the bowl and spread it over all the pieces. Then let it sit for another 10 minutes. After a total of 20 minutes, rinse the radish pieces under cold running water. Make sure to wash away all of the salt pieces. Then place in a strainer and let it drip off excess water. Place a few large spoonfuls (~3 scoops) of the Kimchi paste and mix it into the radish pieces. Cover the mixing bowl with plastic wrap. Poke a few holes into the wrap. Let it sit overnight at room temperature (~12 hours). Place in the refrigerator. Once it is cold, it is ready to eat. If you will use dining salt instead of coarse salt, use a 1/4 cup only. (Dining salt is finer and saltier than coarser salt). Keep in refrigerator - tastes best when eaten within 1 month. I never thought to use Sprite in kkakdugi! Since you said ginger helps to balance the flavor, I wonder if ginger ale would be good too….